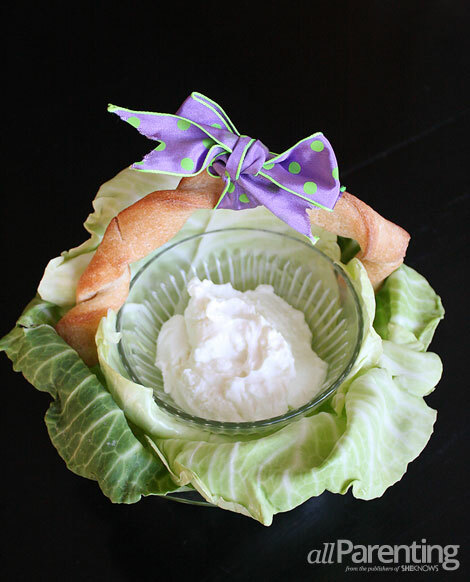 It doesn't get much cuter than this edible Easter basket for your favorite dip. 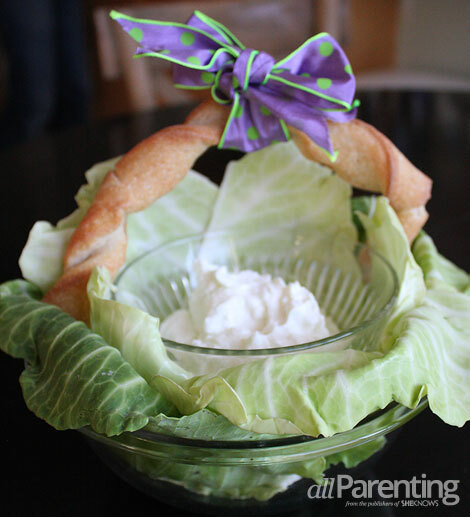 Cabbage, easy-bake breadsticks and veggie dip become an appetizer worthy of table arrangement status with this darling edible Easter basket. Open the breadsticks and separate into individual strips. 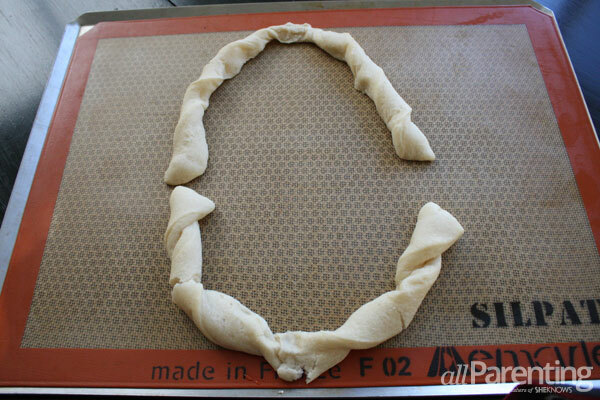 Take 2 and pinch them together at an end, forming a long breadstick. Bend the breadstick into a U shape, forming the handle of the basket, and bake according to the instructions on the package. Let cool completely when done. Begin by layering single leaves of cabbage around the inside of the larger bowl, letting the leaves drape over the edge of the bowl. 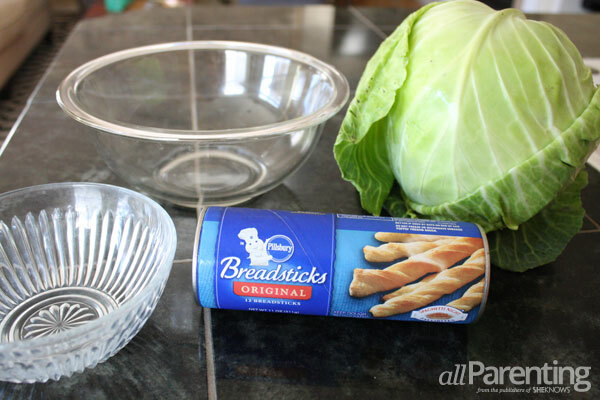 Place your breadstick handle into the bowl upright and then add more cabbage leaves to the bowl so that the handle is sandwiched in between the 2 layers of cabbage. 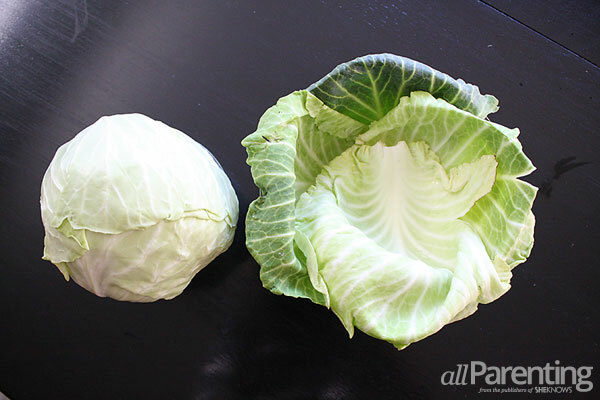 Now place your smaller glass bowl on top of the cabbage. Spoon in your dip. Tie a ribbon to the top of your handle. 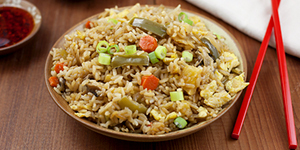 Serve with your choice of vegetables.